The Fijian economy is envisaged to grow for the ninth consecutive year, albeit at a slightly slower pace due to the recent spate of natural disasters. Sectoral performances over the review month were largely positive. Visitor arrivals noted an annual growth of 5.1 per cent cumulative to March, driven by higher tourist numbers from New Zealand, US, Australia, China and Continental Europe. Gold production grew substantially by 91.2 per cent in the year to March on account of base effects and efficiency gains derived from the recent upgrades. Electricity production also grew on an annual basis by 4.9 per cent cumulative to February of which 73.9 per cent was sourced from renewable energy. The timber industry performed strongly in the first two months of the year with significant increases in production of mahogany, pine logs and woodchip. Partial indicators for consumption and investment activity were mixed in the review period. Cumulative to March, commercial banks’ new lending for consumption purposes grew by 15.9 per cent supported by an increase in lending to the wholesale, retail, hotels and restaurants sector by 17.1 per cent, and private individuals by 12.1 percent. In the same period, new and second-hand vehicle registrations rose by 59.1 per cent and 10.8 per cent, respectively. Investment activity is expected to remain firm in 2018 and forecasted to be around 28.0 percent of GDP. However, over the month of March, investment activity was somewhat subdued. Domestic cement sales, an indicator for construction sector activity, declined by 20.2 percent cumulative to March. The decline in cement sales is expected to be temporary and should pick up in the months ahead. In the same period, lending for investment purposes also declined by 23.3 percent largely due to base-related effects. Nonetheless, construction and investment related activities are expected to gain momentum as a result of post disaster rehabilitation works as well as the ongoing private sector projects. Labour market conditions were favourable in March. of 5.4 percent in the number of jobs advertised cumulative to March, led by higher recruitment intentions in the manufacturing, electricity and water and mining and quarrying sectors. Monetary conditions remain supportive of growth as private sector credit expanded by 7.8 percent in March, a moderation from 8.1 percent noted in the previous month. Commercial banks’ new lending slowed to 7.1 percent owing to negative growth in sectors such as building & construction and real estate, combined with lower credit growth to the wholesale, retail, hotels and restaurants sector. Interest rates movements trended upwards in March. The commercial banks’ weighted average new lending rate rose to 6.25 per cent in March from 5.85 in February, and was also higher than 5.50 percent noted a year ago. New time deposit rate rose to 3.17 per cent in March from 2.84 per cent in February, although lower than 3.46 per cent recorded in March 2017. Liquidity, as measured by banks’ demand deposits (BDD), fell in March by 4.7 per cent to $536.5 million, led by a decline in foreign reserves of $3.1 million coupled with increases in currency in circulation by $11.3 million and statutory reserve deposits by $5.2 million. As at April 27, 2018, BDD stood at $540.6 million. Over the month of March, the Fiji dollar rose against the Australian dollar (1.1%), but fell against the Euro (-1.2%), the Japanese Yen (-1.0%), the US (-0.6%), and the New Zealand (-0.2%) dollars. Japanese Yen (-2.9%) and the New Zealand dollar (-1.3%). The Nominal Effective Exchange Rate (NEER) index fell in March by 0.1 percent. Over the year, the NEER also fell but by a higher 1.3 per cent in March, owing to the weakening of the Fiji dollar against its major trading partner currencies. The Real Effective Exchange Rate (REER) appreciated slightly by 0.5 per cent in March due to higher domestic inflation which indicates a worsening in our international competitiveness. Inflation edged-up slightly to 2.6 percent in March, from 2.3 percent in February, but remained lower than the 5.6 per cent registered a year ago. Higher annual price movements in the alcoholic beverages, tobacco and narcotics; housing, water, electricity, gas and other fuels; transport; restaurants and hotels and food & non-alcoholic beverages categories contributed to this outcome. The recent natural disasters are expected to raise prices of agricultural market items. However, the price increase is anticipated to generally subside within the year when supply normalises. Nonetheless, given the devastation in Kadavu, kava supply is expected to be affected and this will potentially raise kava prices in the coming months. Foreign reserves (RBF holdings) fell over the month to around $2,157.7 million in March, sufficient to cover 4.9 months of retained imports of goods and non-factor services. As at April 30 2018, foreign reserves was $2,185 million providing five months of retained imports cover. 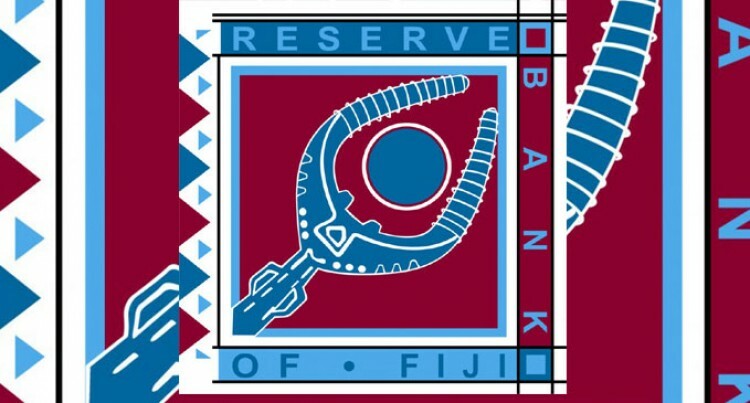 Taking into account the recent economic developments and the comfortable outlook for inflation and foreign reserves, the RBF Board left the Overnight Policy Rate unchanged at 0.5 per cent in April.